Malaysian 'national treasure' Khairul Idham Pawi has the chance to become Sepang team's first home MotoGP rider: 'It's there waiting'. With Hafizh Syahrin preparing for the second year of what is hoped will be a long relationship with Tech3, the new Petronas Yamaha team has its sights set on another young Malaysian to become its first home MotoGP rider. 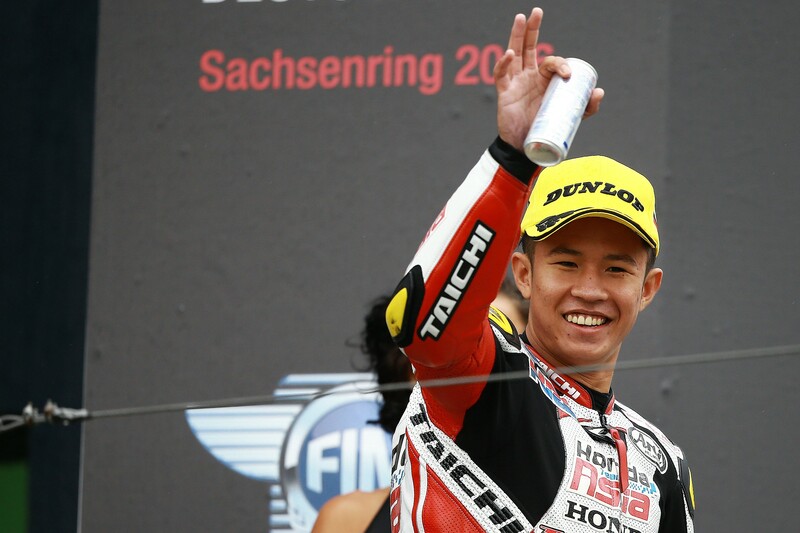 Khairul Idham Pawi made history for Malaysia as the country's first - and so far only - grand prix winner courtesy of a pair of shock Moto3 victories during his rookie 2016 season. But the wet weather ace was then promptly spirited up to Moto2 by Honda Team Asia, where he has struggled to score points regardless of track conditions. The 20-year-old now aims for a fresh start after switching to his local team, as their lone Moto2 rider, this season - Pawi's arrival coinciding with the formation of Sepang's new Petronas-backed Yamaha MotoGP project. Sepang CEO Razlan Razali said that, should Pawi deliver during his two-year Moto2 deal, then a place at their MotoGP team is "there waiting". "Pawi's still our national treasure, as the only Malaysian to win a grand prix race," Razali told Crash.net. "It's just unfortunate that he was then placed into Moto2 so early. I not sure what the plan was there. But still, it's been two years of valuable experience. "He came to visit our MotoGP team [after Valencia]. We showed him around and said, 'look, you have two years to do something because we want you to be our first Malaysian MotoGP rider in this team'. "That should give him the encouragement to be really motivated, focused and work hard. Because he knows if he does well, there is a natural progression now within our structure to MotoGP. It's there waiting." Asked what Pawi needs to get his career back on track, Razali replied: "Something went wrong, somewhere. We need to figure it out. We need to get into his mind and understand exactly what it is." To help make that happen, Razali has assigned the team's new MotoGP rider coach to pay close attention to Pawi during winter testing. "We have Torleif [Hartelman] as our rider coach for MotoGP, but he will also be watching and sitting down with Pawi during testing to figure out what he is all about. "I have stressed to Torlief the importance of Pawi to the team. So we hope we can do something, but again at the end of the day it's also the individual who should not waste his opportunity." Razali - who played a key role in placing Syahrin at Tech3 this season, to become Malaysia's first MotoGP rider - also cast his eye over the #55's debut season in the premier-class. 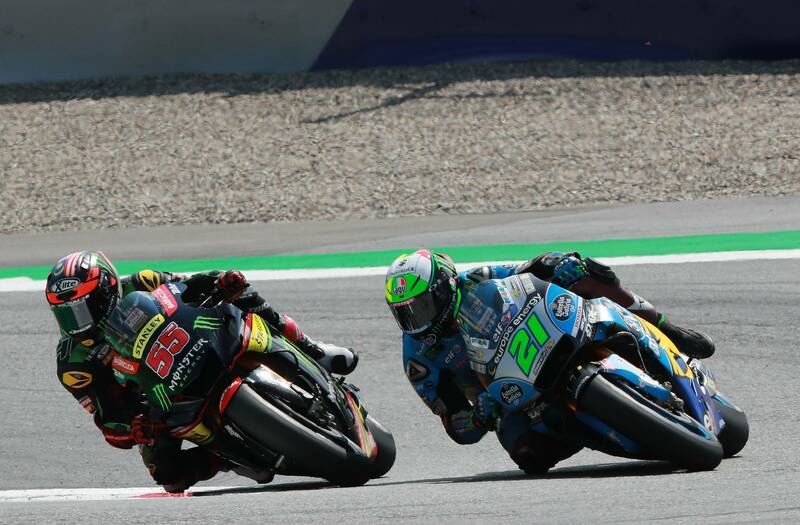 A couple of costly falls meant Syahrin narrowly lost out on top rookie honours to Marc VDS Honda's Franco Morbidelli, the rider signed by Sepang to lead their 2019 premier-class project. "I think Hafizh learned a lot this year and for him to challenge Franco over the season for top rookie is a commendable effort," Razali said. "But it also goes to show that the Yamaha is a great bike and for Frankie to already be doing what he is doing on it now with us - of course it's still very, very early in testing - also says something. "We're happy that Hafizh continues for a second year. The challenge for him is to be a MotoGP rider for as long as possible, which means continuing to focus and improve. He's still a kid, and very new to all the attention that comes with MotoGP. "Hafizh will change bikes for 2019, but he will also have a full winter testing programme, which he didn’t have this year." Syahrin will become Tech3's team leader for the start of its new KTM era, with rookie Miguel Olivera riding the sister RC16. Another rookie, Frenchman Fabio Quartararo, will partner Italian star Morbidelli during the debut season for the Petronas Yamaha Sepang team.